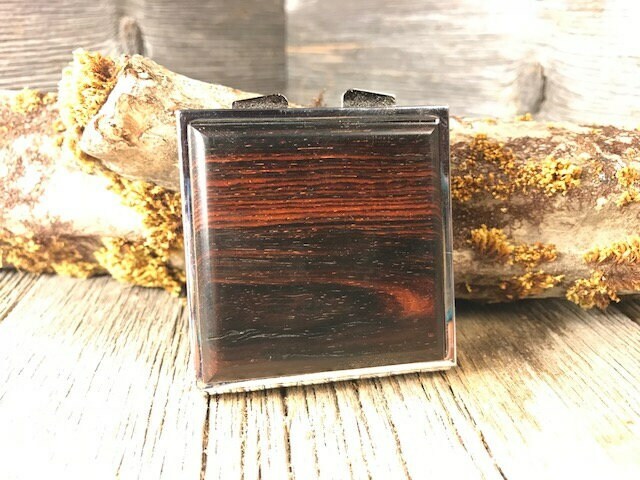 Wood/ Wooden Pill box/ Keepsake container: AAAA Coco Bolo , 4 partitions. 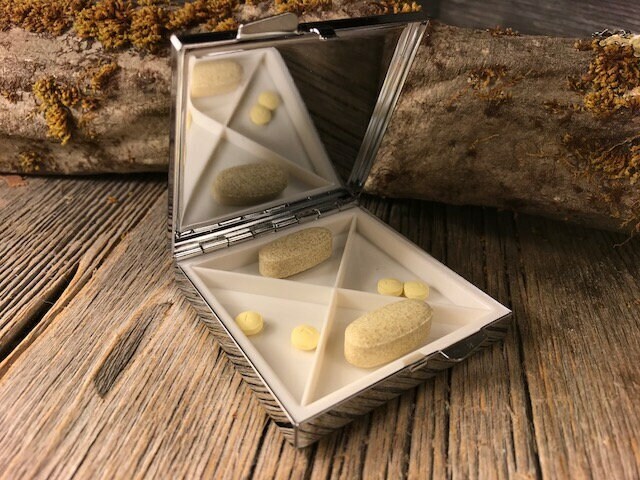 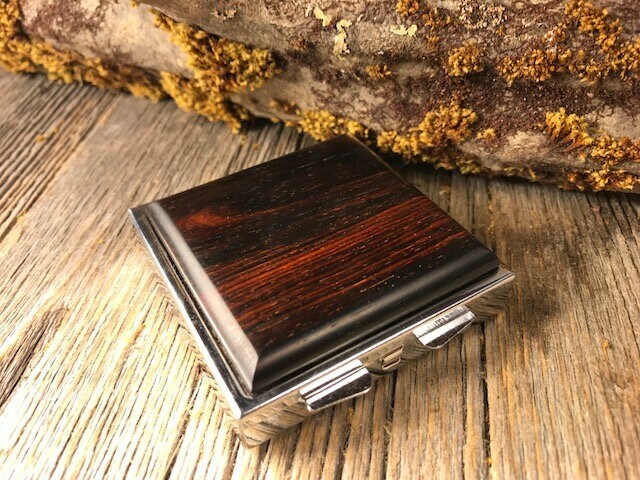 This simple and unique Pill container features a gorgeous cut of Gallery grade AAAA Coco Bolo, precisely inlayed into a chromed steel case. 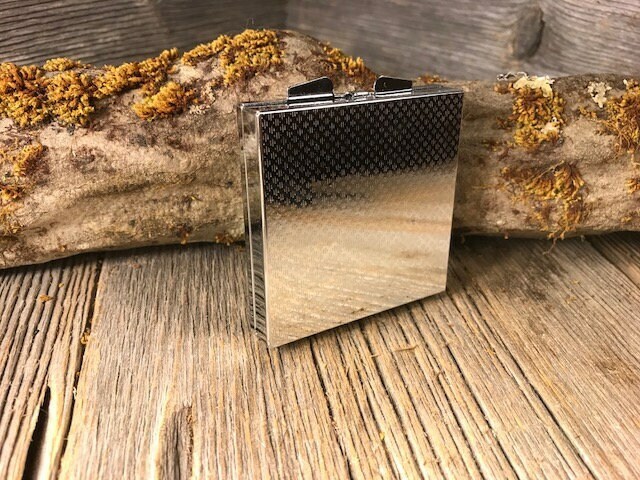 This Box is made from top quality Chromed Steel, and has a plastic interior, with a mirror in the lid, perfect for your make up application.